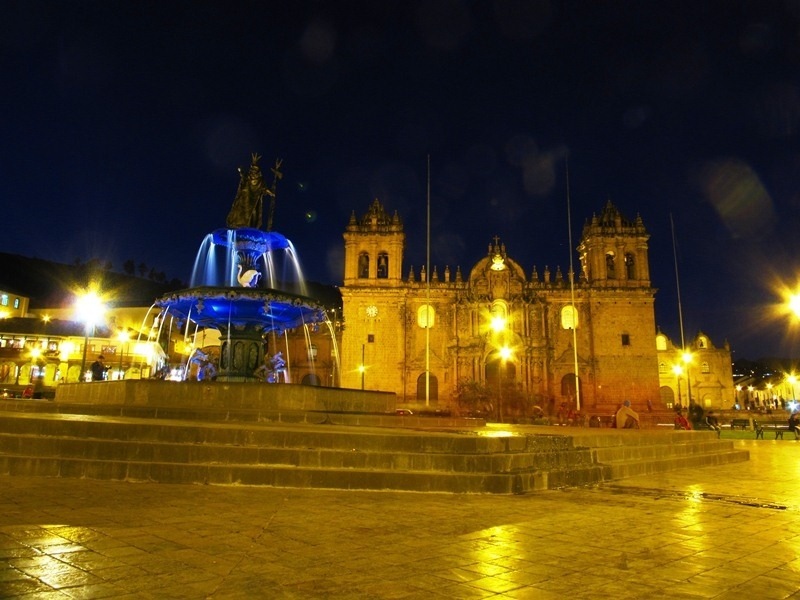 Nathan and I arrived in Cusco at about 6 in the morning. The streets were empty as we walked the uphill journey from the bus station to our hostel. We dropped off our stuff and headed out to walk again and explore the city. The streets had started to fill up but it wasn’t with locals. Everyone seemed to be from somewhere else.After traveling for so long in places with relatively few foreigners, it was jarring to be in a city practically overrun with tourists. This was both good and bad. living in Peru. Someone is making a lot of money but it doesn’t seem to be reinvested in the sights nor in the town outside of the central tourist zone. Seeing how things are in South America, it probably ends up in a few government officials’ pockets, unfortunately. But some sights were worth shelling out some money. 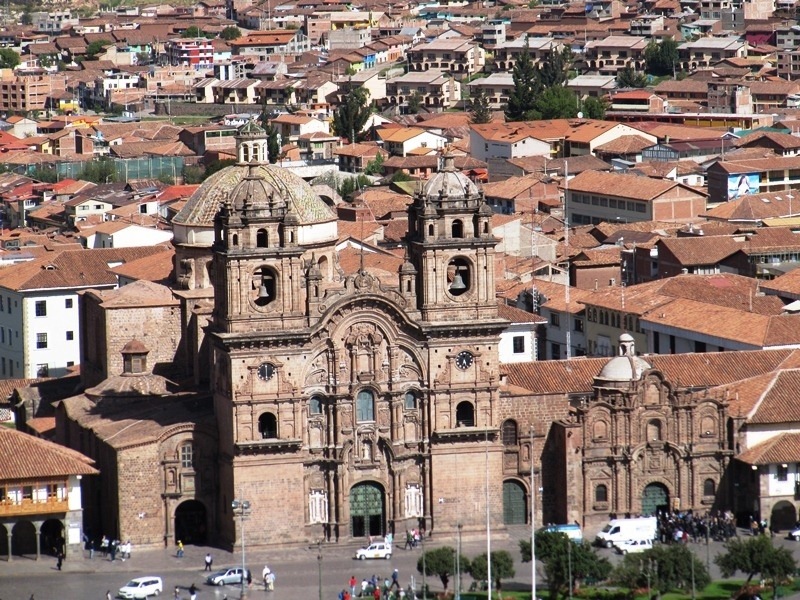 In the 15th century, Cusco was the capital of the Incan empire. It was here that they built their finest temples and palaces using their best stone masons. Of course, the Spanish destroyed everything and rebuilt all the temple sites as churches. But there are still traces of the original grandeur. For example, a beautiful wall is just off the main plaza. It shows how magnificently the giant stones were placed together with no mortar or metal tools. Another example of this fine stone work was at Qorikancha, the golden temple that celebrated the sun. The work was so precise and detailed. It would have been amazing to see it before the Spanish looted the gold that covered the entire walls. The true highlight of our time in Cusco, however, was seeing our Bay Area friends. 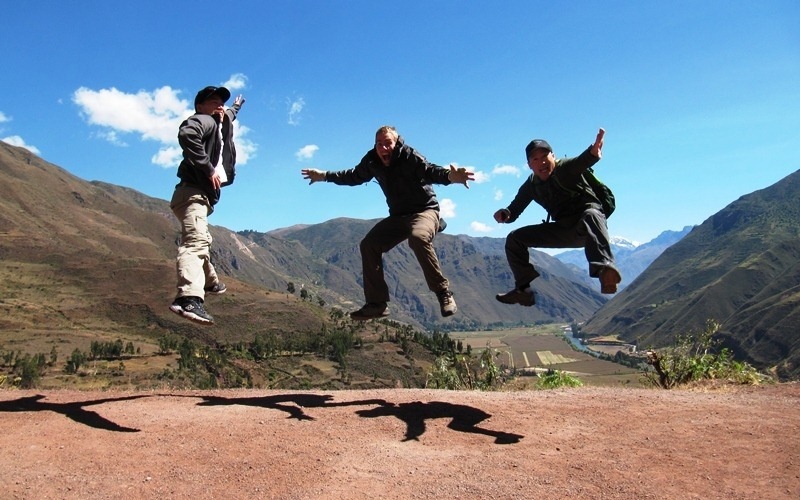 Back in January we decided to do an epic 6 day hike to Machu Picchu. 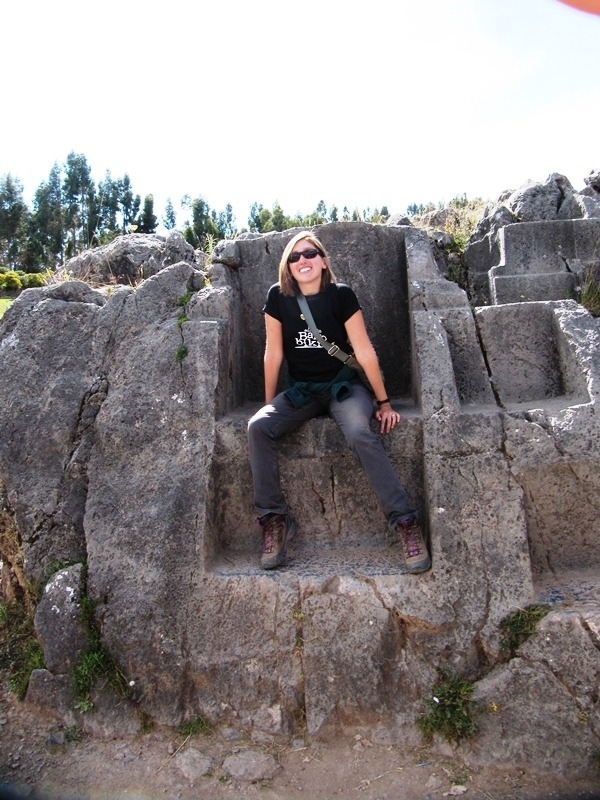 To acclimatized to the high altitudes we all spent a few days in Cusco. It was awesome to do this exploration with them. First we met up with Dan and Randy and got caught up over pancakes and paninis at Jack’s Cafe. 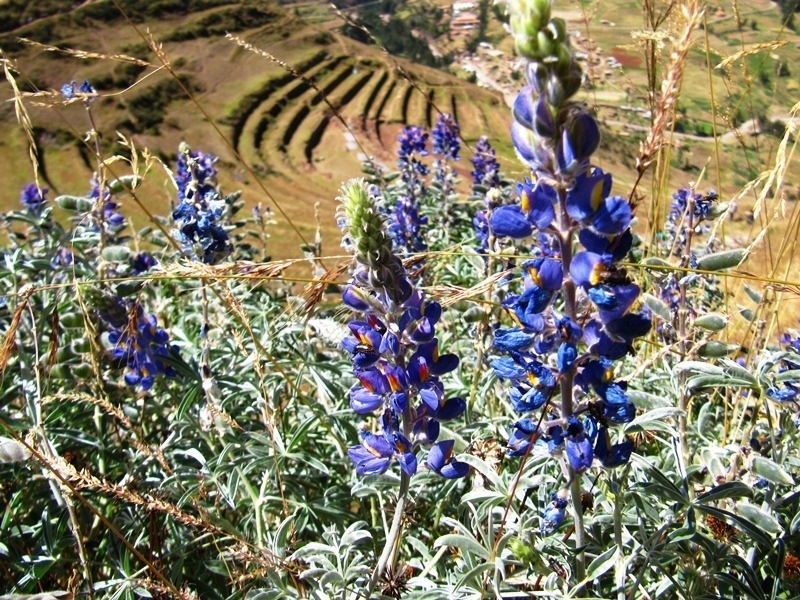 Together we took a tour of the Sacred Valley, the farming region outside of Cusco that holds a few sacred ruins. 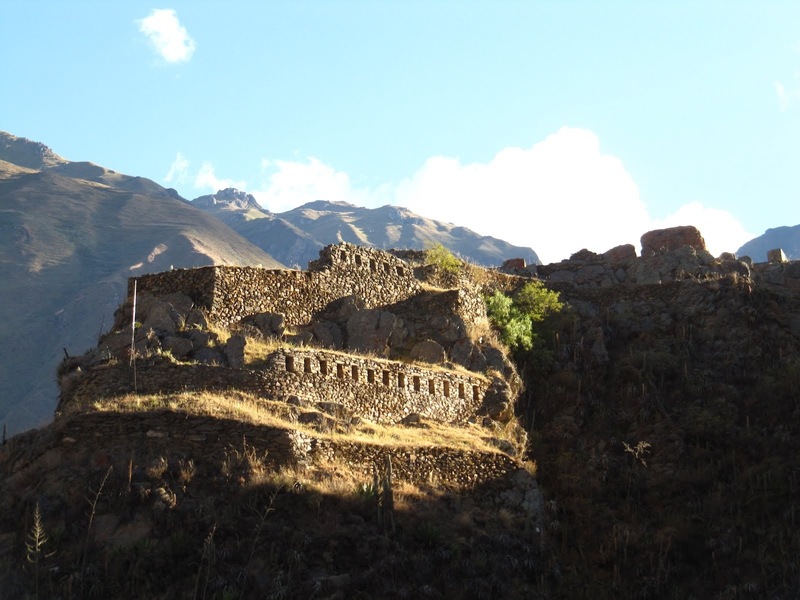 The first set of ruins were the terraces and homes of Pisac. Built high into the hillsides these settlements were both closer to the apus, or mountain gods, as well as protected from invasion. Next we hit the town of Ollantaytambo which was strategically placed at the intersection of three valleys. It had intact terraces and fountains that still operate today. As part of the tour we stopped at a textile factory where women spend a few months dying and weaving textiles, make some money, then head back home. The demonstration of how the alpaca wool is spun using a dradel looking thing, dyed with natural plants and weaved on a loom was a sort of a sales pitch but interesting nonetheless. That night we met up with two more dear friends, Brenda and Drew! We all went out for some roasted chicken but Nathan was a rebel and ordered lomo saltado, or beef stir fried with potatoes, onions, and tomatoes in a tangy sauce. 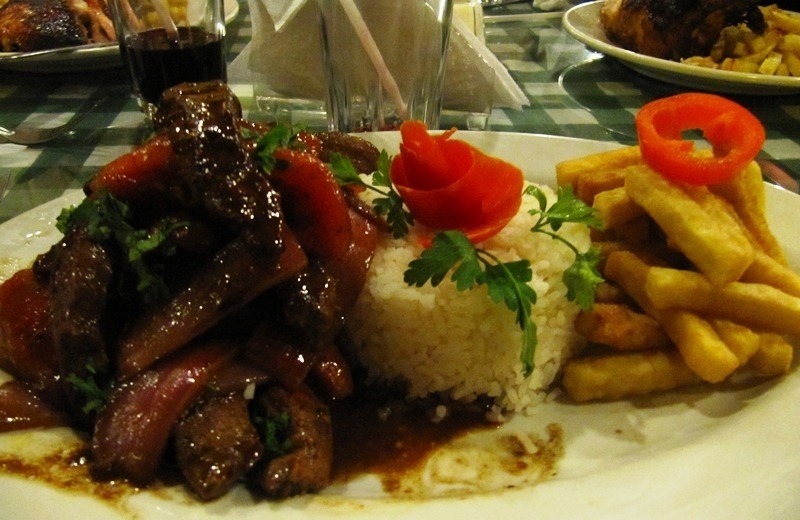 This is one of my favorite Peruvian dishes. 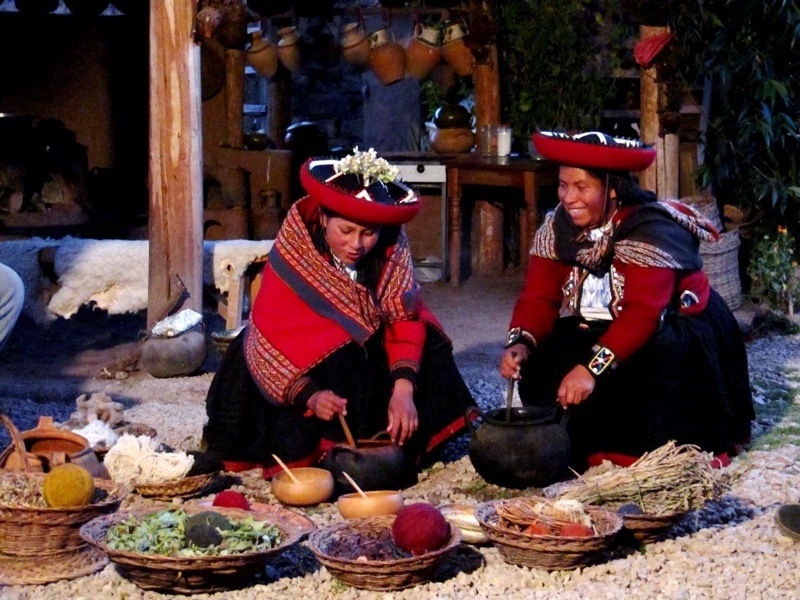 The combination of flavors and cooking styles reflects the Chinese influence on Peruvian cuisine. The next day we all took a bus 8km outside of Cusco. 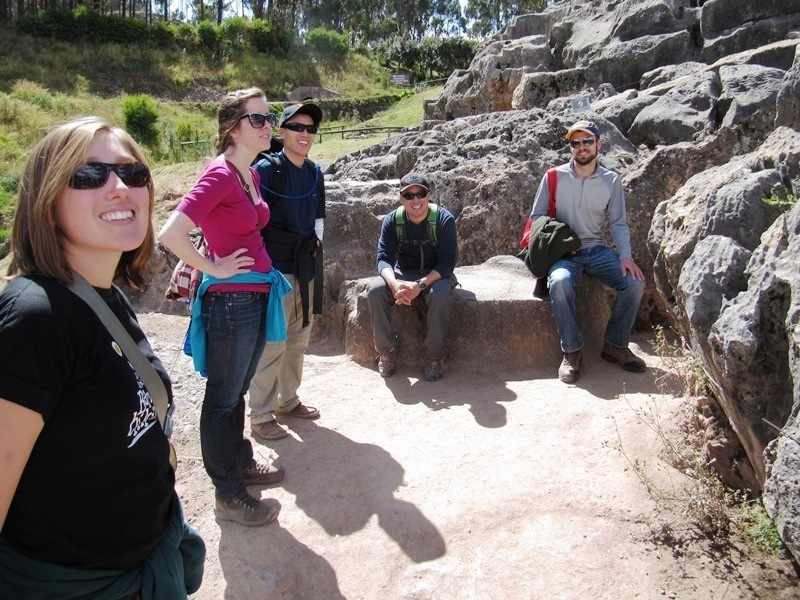 Together we walked the road back, exploring the various ruins along the way and ending at the famous and spectacular Sacsayhuaman. 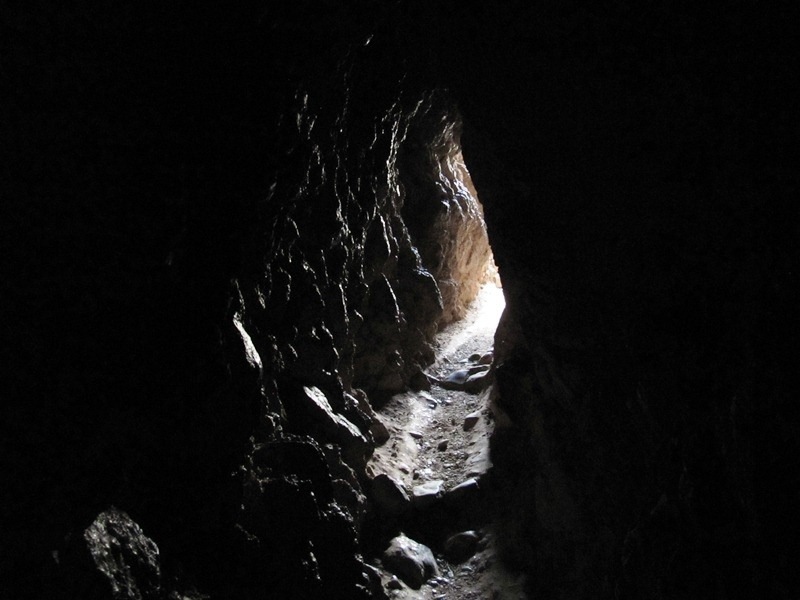 We hired a guide for this last site and within minutes we found ourselves in a pitch black tunnel dug out of the rocky hillside. As we emerged into the sun once more we found a circular area partially line with stones. The guide explained that a pool of water may have been there once to reflect the stars. I sat on the throne overlooking this pool area, trying to recreate it in my mind. It became very apparent how thoroughly the Spanish destructed these sacred sites and structures. 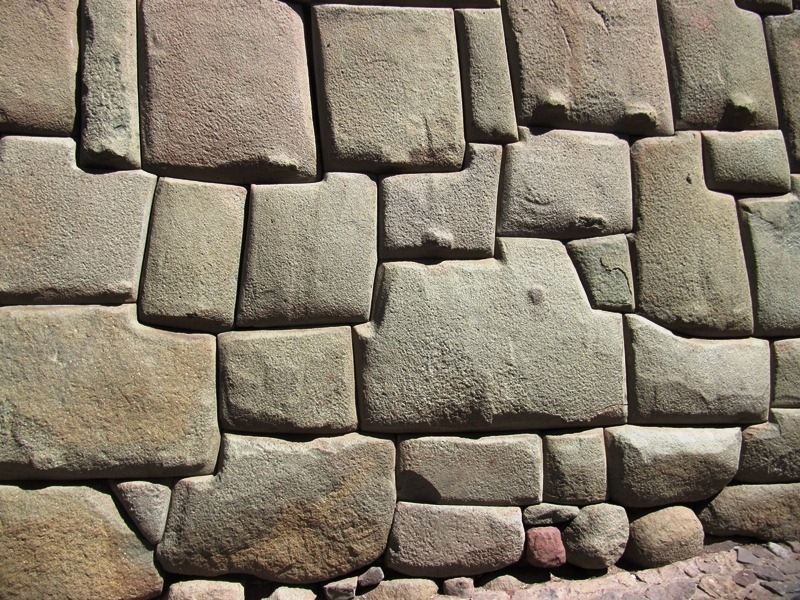 What is left a Sacsayhuaman is whatever the Spanish couldn’t destroy. 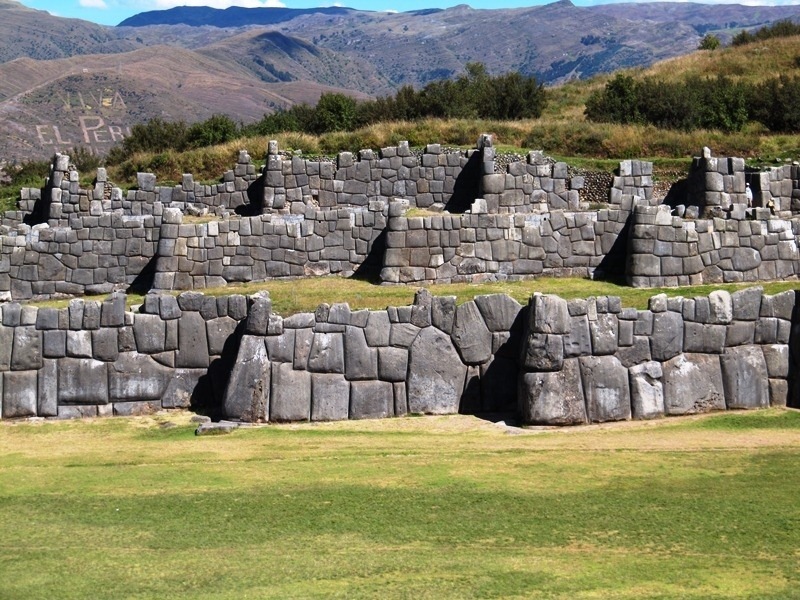 That includes three large terraces that formed the foundation of three important Incan temples. The temples are long gone but the enormous stones that formed the terraces would have required great effort to move. It’s hard to tell from the picture, but each wall is about 15 feet tall! The field in front of the terraces is the last battleground of the Inca against the Spanish, with the latter barely gaining their victory. We finished off our ruins tour with a lunch at a chicharron restaurant. 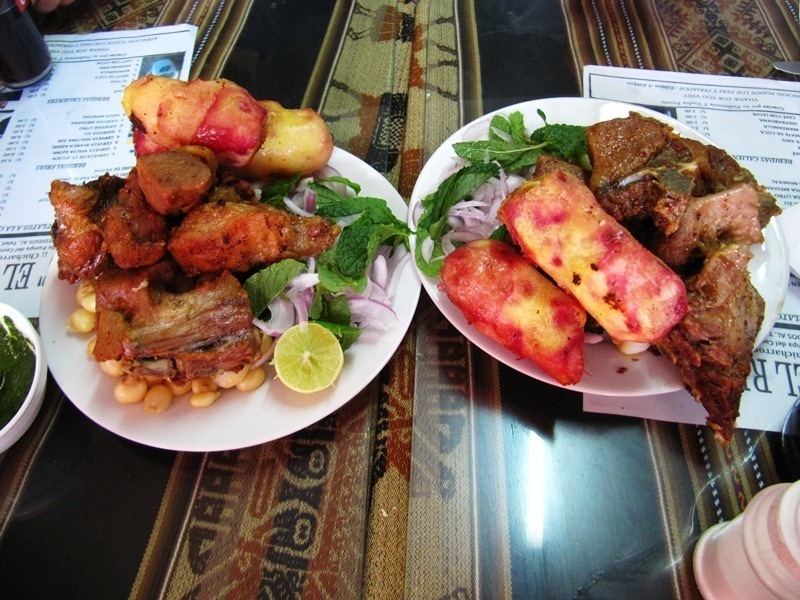 A few slabs of fried pork, onions, mint and some pink speckled potatoes hit the spot. 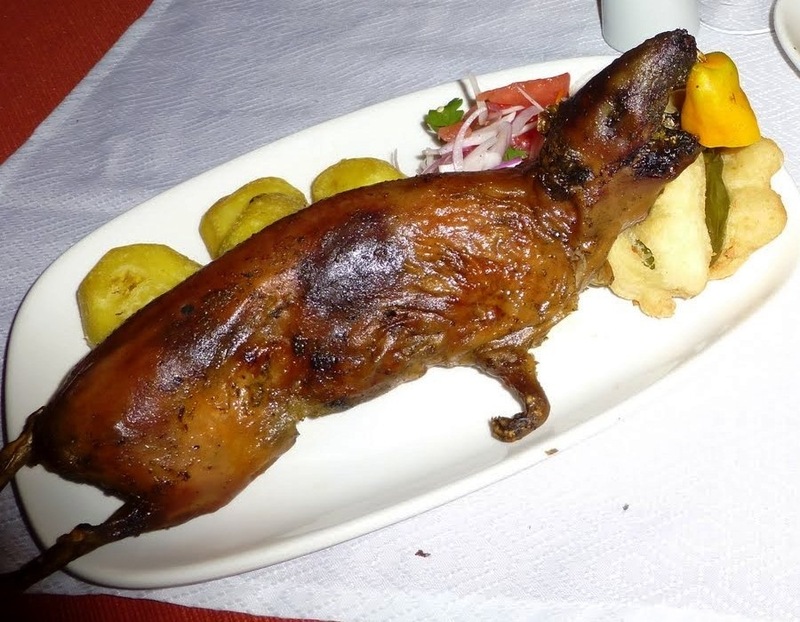 But there was one more dish to try before we all left for our hike to Machu Picchu: cuy (guinea pig). For anyone hesitant about trying this unique delicacy, I think the picture confirms your worst nightmares. Fortunately, none of the members of our group were intimdated. We dug in and found that cuy offered a dark, gamey taste. It was fun to try but not anything I’ll be craving soon. 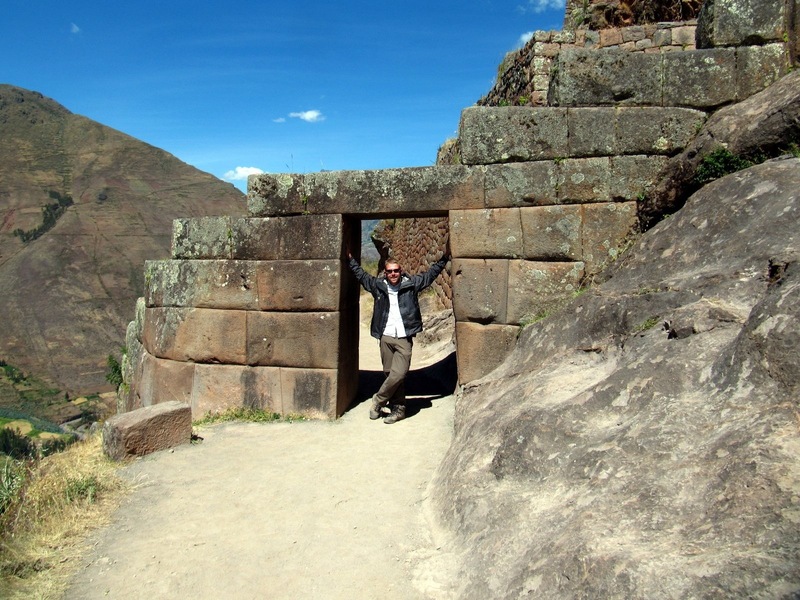 I enjoyed how history came alive in Cusco. But it was time to pack our bags and start the hike of a lifetime. I like that the blog has increasingly had more pictures of both you and Nathan! Please continue this trend, seeing sites through your eyes and words is rewarding, but your faces make it more real!